Has all the value gone out of California wine? Just don’t expect to find any value around $10. Where has all the value gone in California wine? The Wine Curmudgeon, who had just spent 15 minutes scouring the aisles in a vain attempt to find a $10 California wine to write about (or even a $12 or $15 wine, for that matter) was surprised to hear someone who sold wine say that. But I wasn’t surprised to hear it. There has been value in wine, even in these dark days, almost everywhere in the world save for Bordeaux and Burgundy. You just had to keep looking. But I’m finding it harder and harder to find value in California. Instead, there are $17 high-alcohol zinfandels that all taste the same; $15 too fruity red blends with cute labels that all taste the same; $12 white wines wearing fake oak disguises that all taste the same; and too much wine costing less than $10 that tastes like it was made without any regard for quality — and that all tastes the same. This doesn’t mean there isn’t quality, because California can produce the best wine in the world at any price. We know how I feel about Bogle. Rather, it’s that you almost never get more than you pay for anymore, and you rarely even get what you pay for. • Land prices have skyrocketed. Higher land prices mean more expensive wine, even if the quality of the grapes isn’t any better. • Price increases, as producers make up for all the price increases they didn’t take during the last decade. • Pricing based on styles. This is where a producer will charge more for a cheap wine made to mimic a more expensive wine, because the cheap wine will still be less expensive than the expensive wine. It just won’t be a value, but we’re not supposed to be smart enough to figure that out. Of course, I’ll keep looking for value in California wine. But given all that has happened, I don’t expect to find much. I can’t write about McManis and Bogle every time, unfortunately. When you say “value” it sounds as though you are saying the wine must be cheap in order to be valuable. Don’t you believe that a $50 bottle can be a good value? Value means getting more than you paid — hence Bogle and McManis. I taste dozens of California wines a week, mosty under $20, and very few of them are worth what they cost. Seems like Stephen Hawkes asked a good question but you really didn’t answer it. So again, can’t a $50 wine be a good value. Can’t you find a $30 to $50 wine that is worth more than it costs? I think many of the Bedrock and Carlisle wines have value and have kept their price increases to a minimum. My guess is there are hundreds of small wineries providing value. This gets to the heart of wine and what I do and how wine has changed over the past decade. My audience doesn’t drink those wines. Hardly anyone does — less than five percent of the country, according to figures from the Wine Marketing Council. So it makes no sense for me to write about them, even if I could get them. Which I can’t, because they have limited distribution (if any) outside of California. So there may well be value in those wines, but who except for a select few is going to know about them? Which turns this into an angels on the head of a pin argument. What’s the point of writing about wine no one can drink (and don’t we have already have the Spectator for that)? My audience — and there will one-half million visitors to the blog this year, an amazing number for an independent wine blog — wants information about wine they can buy and is affordable, which means $15 or less. That sort of value is almost impossible to find from California, and especially if you live elsewhere in the country. This does not mean that California does not make great wine. As I always say and have written for decades, it probably makes, bottle for bottle, the best wine in the world. That so many people have been so defensive about this post speaks to the fact that not everyone there is as secure about California quality as I am. Wine Curmudgeon: You make some good points and maybe it comes down to the title of your article. “Has all the value gone out of California wines?” Maybe what you are really asking is “has all the value gone out of mass produced California supermarket wines? Living in NC, I have little problem getting many Bedrock wines and quickly got on the Carlisle and Bedrock wineries distribution. 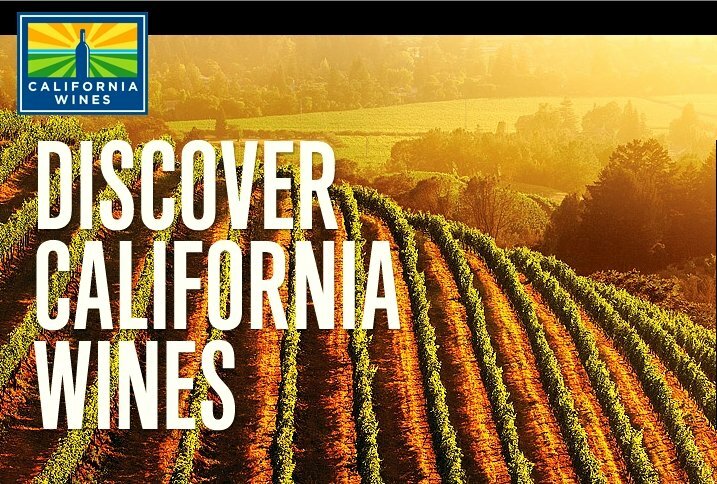 Many small California wineries will sell their wines over the internet to just about any state with no need to wait in line. Granted that most of your readers might not want to pay $30 for a bottle of wine but am thinking that those of us who bother to read wine blogs are much more likely to find value wines within their budgets–and the percentage is probably far higher than your 5%. Despite trying wines from a variety of countries and regions, I come back to Spanish and Italian wines again and again. I also like McManis, and I discovered it on this blog. Thanks, Curmudgeon. Thanks for this, Chris. Unfortunately, many of these wines are not available in other parts of the country. I assume you are in California? You’re not spending enough money to find value. $10 isn’t a good price point for California. But $25-$35 is. There are plenty of world-class, delicious, interesting California wines in that price range. That’s value. Given that $10 is the average price of a bottle of wine sold in the U.S. and that 95 percent of Americans will never pay more than $20 for a bottle of wine, what am I supposed to do? I agree you are not going to get good wine for $10 in California. It is the same as with anything else – inflation has hit hard and fast over the last decade. It’s like going to get your favorite fast food combo at McDonald’s, Carls, Burger King etc. Unless you got a coupon what used to cost you $5 is now going to cost you almost $8. Not sure why you would think the wine industry in the state would not be hit by the same cost increases? Every single cost has gone up in the last 10 years except maybe gasoline. Goldschmidt- fidelity Alexander valley $15. This one really stands out. There is still a lot of value in $20-$35 like others have said. So what’s the argument here: That you can’t find good California wine in the $10-15 range outside of California? Or that good wine costing $10-15/bottle is not made in CA? To both questions I’d answer that if it really mattered (as opposed to it making a good blog post, ?, maybe?) then you’d realize the wines from CA that meet your standards are simply not easily available to you, hardly the producers fault? Or, your simply not looking hard enough. Either way, your argument that good wine around $10/bottle is not being in California is a bit weak. Nonetheless, the reasons you listed why there is a lot of swill coming out of CA are spot on! (1) “There has been value in wine, even in these dark says, almost everywhere in the world save for Bordeaux and Burgundy.” I agree about Burgundy, but not Bordeaux. Yes, prices for classified growth Bordeaux is as absurd as for trophy California wines, but there are lots of small producers making very reasonably priced wines with simple appellations like “Bordeaux,” “Cote de Bourg,” etc. But there is also a lot of swill there, and finding the good stuff is challenging. We’ve stayed at one small Bordeaux hotel 3 times, and each time the owner has given us a bottle of what he calls everyday wines. Probably well under $10. One of them was outstanding, but the other 2 were mediocre. (2) “California can produce the best wine in the world at any price.” Maybe if you added “some of” before “the best wine” I’d agree. I have been in Lodi wine country the last three days attending the Wine Bloggers Conference. I was very impressed with the quality of Lodi wines. It is not just big, over the top Zin and many describe Lodi. Rhone, Spanish varietals, and Zin wines are made in Lodi that are excellent wines and are correctly priced. Napa wines are becoming wines for the very rich. Look to Lodi, Amador, El Dorado, for good California wines. I head straight for the Spain/Italy section if I end up having to buy wine at the grocery store. We decided that we no longer want to drink those “residual sugary big fruit too much mocha” wines anymore. I will agree it is harder but not impossible. I think too many brands from big corporate wine companies for sure. And distribution and pricing outside of Calif. are also problem. So you have to look for Mendocino and Lake County. I would also say Lake County offers great values. Steele, Chacewater, Brassfield, Six Sigma and many others are making great wines which while some are above the $20 mark many are not. Values in California wine are still out there, but they have become harder to find. During the last six months, at less than $15, I bought Sauvignon Blanc from Sonoma County and Napa Valley, Pinot Noir from Santa Cruz Mountains, and Barbera from Sonoma Valley and Amador County. I also brought several bottles of Chalone Vineyards Estate Heritage Chardonnay for $6 each. Unlike in the past, about half of these purchases have come from “liquor and lotto” stores rather than supermarkets or wine shops. Discover the producers that made the most value wines in the past year. Sort by average score, average price, and the number of values produced—or change the score and price criteria to expand or shrink the list. To see a full list of wines, or add any to your Personal Wine List, click on the winery name. Only wineries producing three or more wines (tasted in the past twelve months) that meet your criteria will be displayed. Thanks for this, Greg. Although the blog is a scores-free zone and the only time the Spectator is mentioned is when it gets its annual Curmudgie award for foolishness, I’ll buy your wines and taste them. Sorry I feel bad for breaking the rules. I’ll watch myself next time before I post my shameless self promotion. This is a great blog I read it all the time. For true value ,the two entry level Zinfandels from Shenadoah Vineyrds and Sobon Estate are hard to beat. Both wines are produced and bottled meaning they are not part of a massive factory style bulk operation like most California wines in the 10.00-12.00 price range. We have to put cellared and bottled by on our labels even though we make our wines from grapes we purchase under long term contracts. But because we crush the fruit at several different facilities and then bottle at another (Francis Ford Coppola is where we have our bonded winery license)– our labels cannot say produced and bottled by Castle Rock Winery. We do not use bulk wine anymore (we used to). Anyway see below for actual guidelines. We’ve found this wine in quite a few states, Alias Cabernet and their Pinot Noir. Both CA and $9.99-10.99. If you like McManis then you’ll love these. Als somebody brought up Manifesto Cabernet, very good but their Zin is out of this world! Lower alcohol and lean and a steal at $15. I’ve tasted California wines for a while now and I believed that there’s still value and quality on there wines. Prices may increase or differ but surely people will still buy it.